Every man is a catacomb resonator; our very being resounds with hidden desires, dreams of unknown origin, and deeper still, primordial voices of our buried ancestry. We are a labyrinth unto ourselves; and equally we stand as a totem-pole at the crossroads of a universe, gazing into distant horizons. We are a nameless grave from which the self divine may rise to witness new constellations light up on the darkening firmament. It is this process which the sixth Arktau Eos album attempts to convey: led by abyssal psalmody, the sonic tapestry is interwoven with dusty, crackling electronics of a bygone era and other, subtler elements for an all-enveloping sound that readily lends itself to prolonged listening sessions. Between the two segments, the sides A and B, lies the secret canticle: heard by few, yet ever present. While the vinyl edition is in some ways the optimal medium for the album at hand, the CD has the advantage of being mixed as a seamless whole. Choose as ye will! 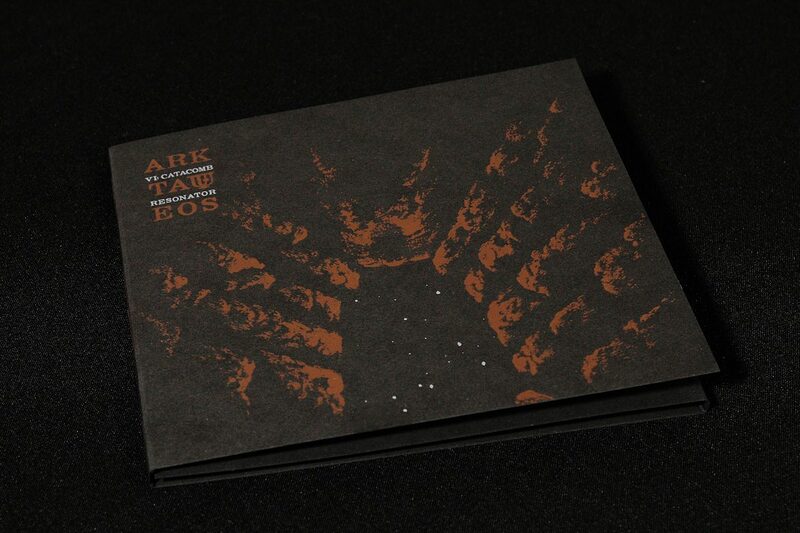 The CD version of the album is enclosed in customised, screen printed cardboard covers. Limited to 423 copies. The ‘Catacomb Resonator’ LP is enclosed in customised, screen printed cardboard covers including xeroxed and stamped insert. 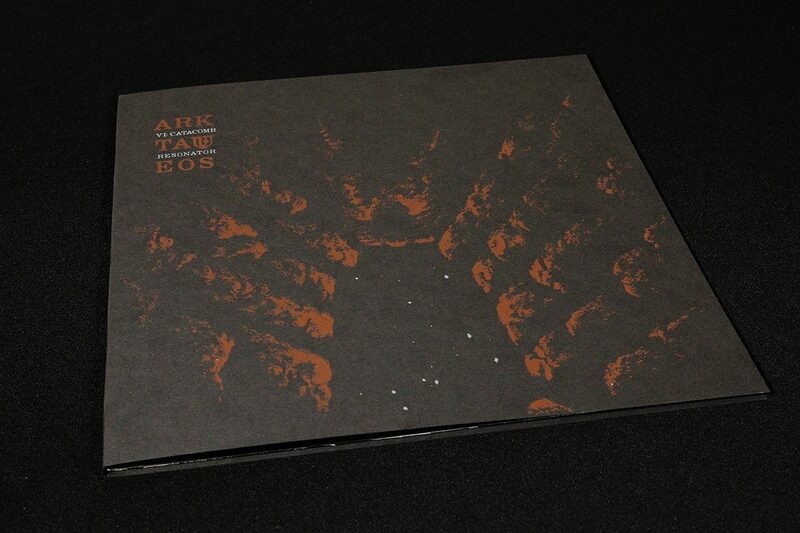 Limited to 423 copies.